Many petroleum basin show some type of surface hydrocarbon leakage, since seals are imperfect and hydrocarbons, driven by buoyancy, move mainly vertically through thousands of meters. Locally also lateral migration occurs. GWW collaborates with E&P Geo Field Services, a company held by Dr. Dietmar Schumacher and Luigi Clavareau, known as worldwide experts in geochem exploration. E&P Geo Field Services unique approach involves using sensitive and precise microbiological techniques in tandem with soil gas and fluorescence methods, to identify the areas of anomalous active thermogenic hydrocarbon microseepage, and determine the composition of the hydrocarbon microseepage source (oil, gas, and condensate). The discovery of a geochemical anomaly establishes the presence of a working petroleum system in the area of interest. Surface geochemistry permits a fast and effective ranking of different leads or prospects. 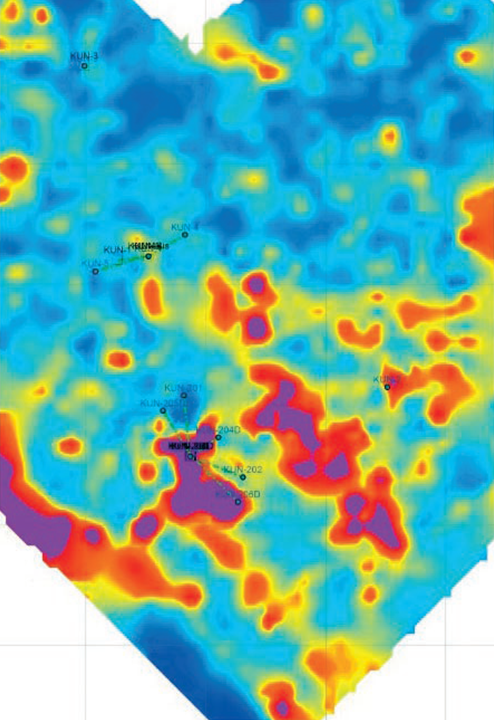 It provides results applicable both to structural and stratigraphic traps. It has little or no environmental impact.